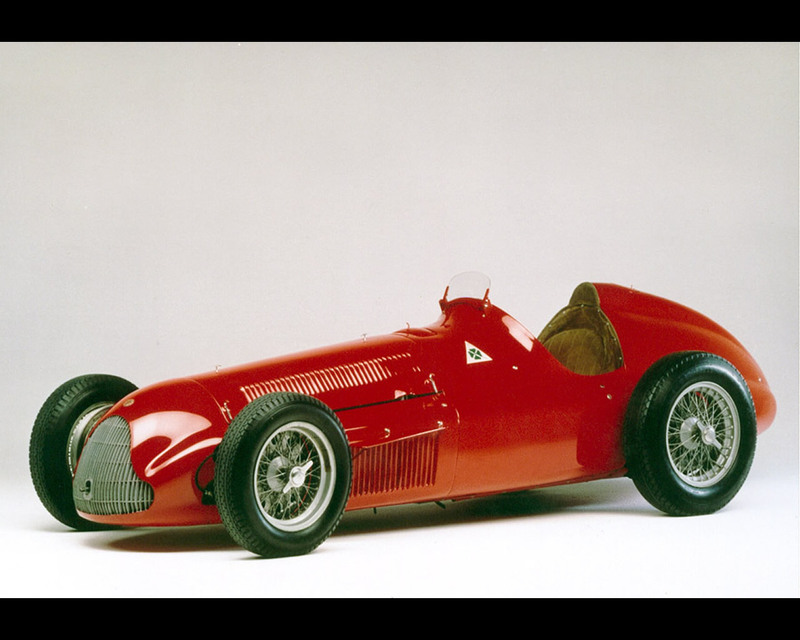 In 1938 Orazio Satta, Technical Director at Alfa Romeo, called in Gioachino Colombo to design a new single seat racing car which was to have a supercharged 1500 cc eight cylinder engine. 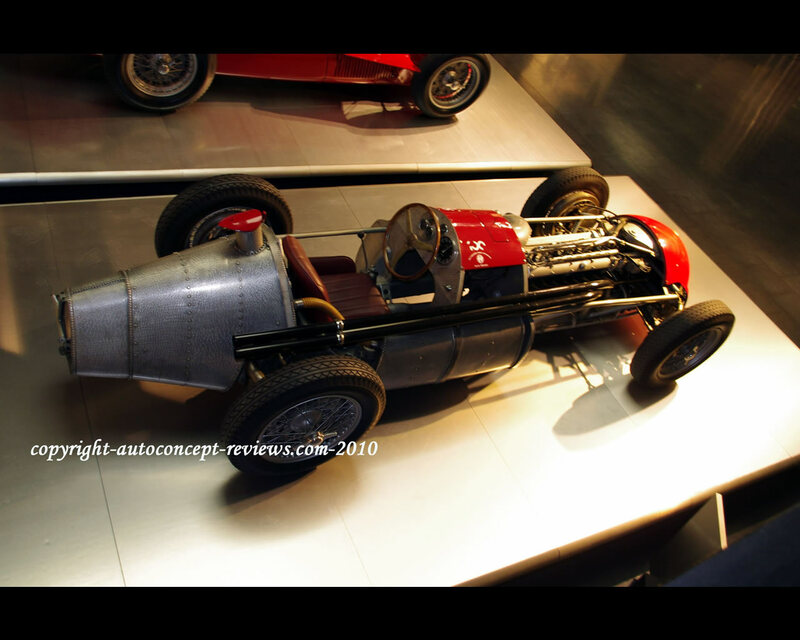 The Alfa Romeo Grand Prix Tipo 159 Alfetta, whose development was interrupted by the war shortly after it had scored its first successes on the track, was known as the "158". 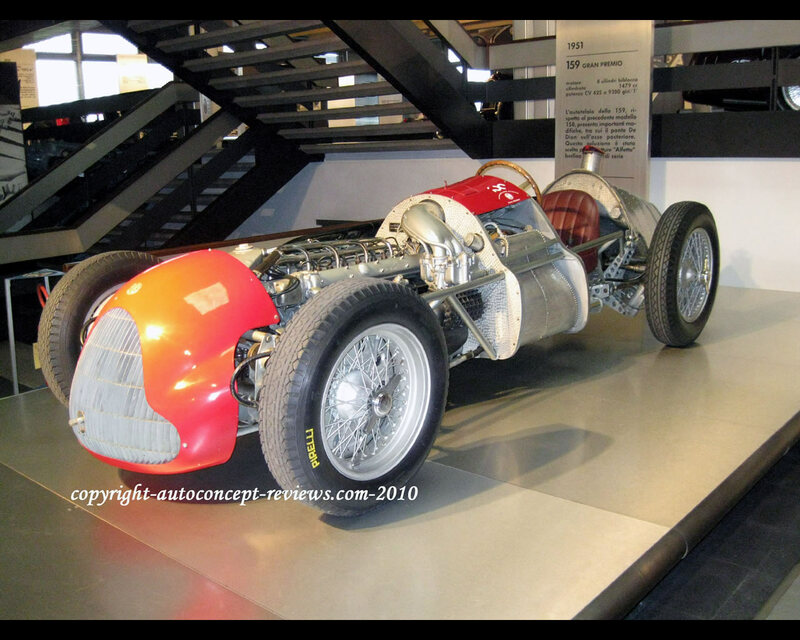 The project was taken up again after the war and a 158 was equipped with a twin-stage supercharger which enabled it to pump out 360 hp at 8.500 rpm (compared to 185 hp of first 158). 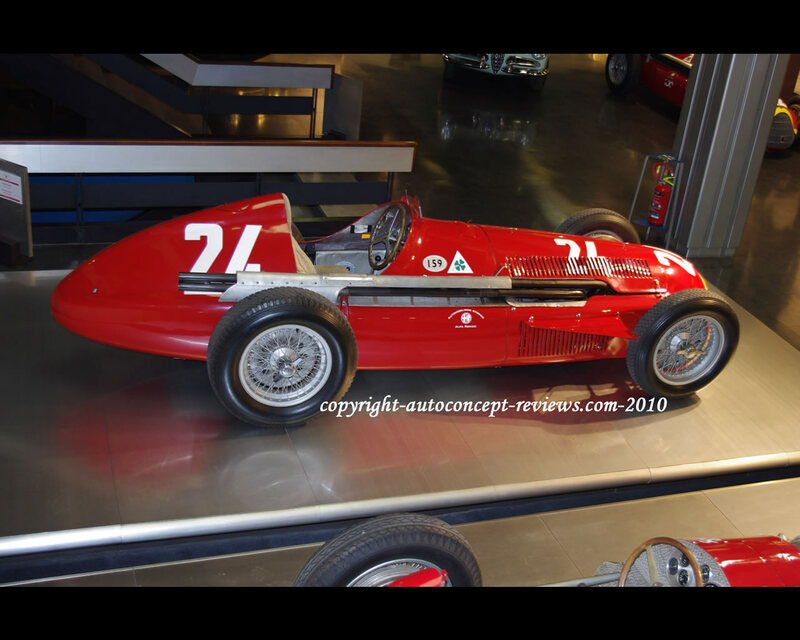 The Alfa Romeo Grand Prix Tipo 159 Alfetta was the car with which Nino Farina won the 1950 World Championship. 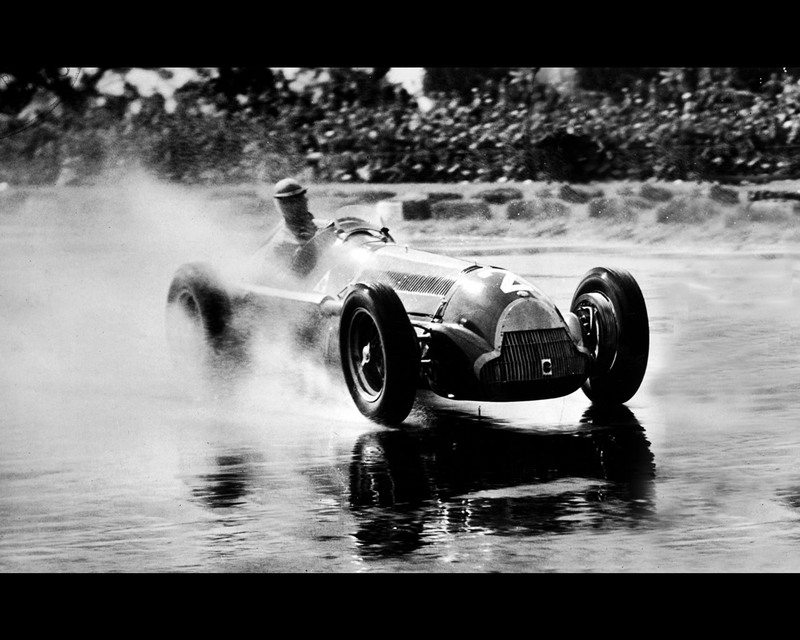 But the development of this illustrious single seat racing car did not finish there. 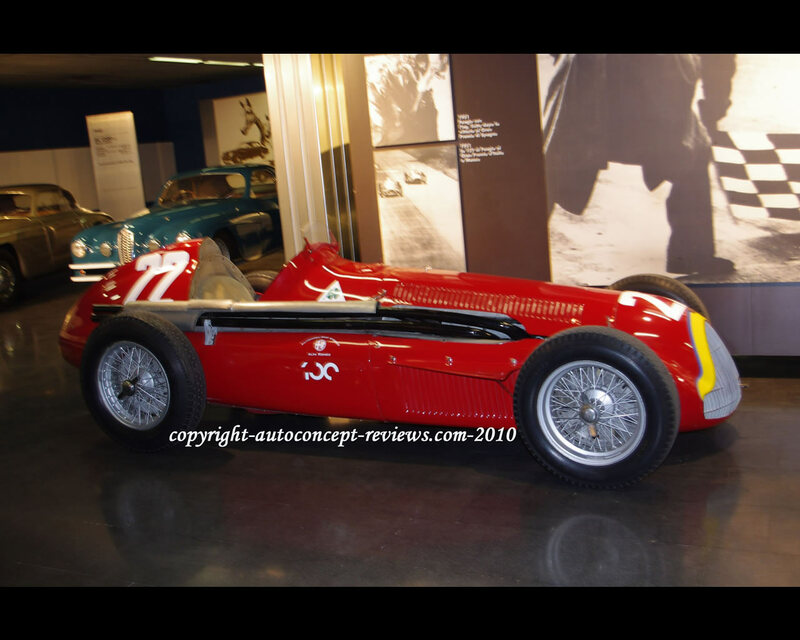 Fangio drove a mechanically improved version, known as the "159", to victory in the 1951 World Championship. 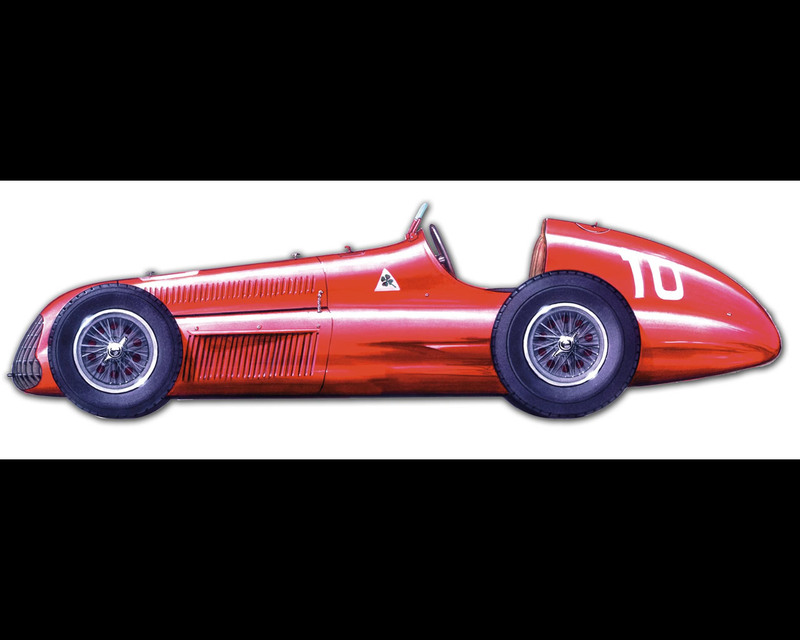 By the time the 159 (nicknamed the "Alfetta" on account of its reduced size) was retired from competition, the engine was developing 425 hp at 9.300 rpm. The eight cylinder twin-block with 1479 cc allowed a top speed claimed for 305 kph. 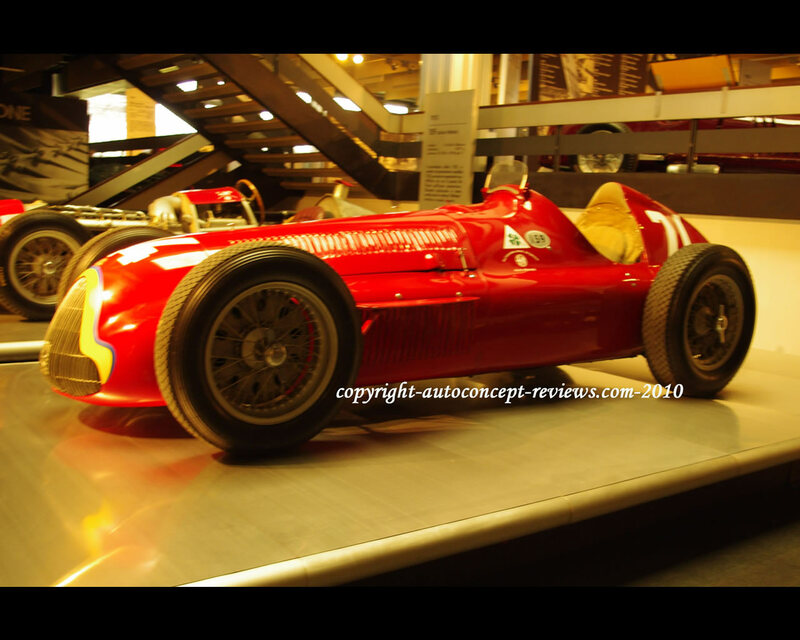 The car exhibited at the Alfa Romeo Museo and shown here allows to see some technical features. The chassis is ladder-type with oval tubes complemented by tubular frame. The suspension with transverse leaf spring was independent at front and De Dion Type at the rea. The gearbox was placed under the seat of the driver and attached to the transaxle. Fuel tanks are placed at the rear as well as on both sides.